Due to playoffs starting, the schedule can change quite frequently and with little notice. Please refer to the website regularily to check practice times. On the Left bottom corner there is an option to subscribe to receive your team notifications via email or text. 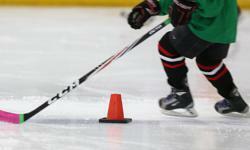 It has been a difficult season for the atom local league team as each player finds their niche. This past weekend they definitely found it!!! Every goal scored was a team effort and all the players really started to play as a team. The result? ?....C division champions!!! As it is said, "they that play together, win together"! Congradulations for all your hard work and to A.J. for his excellent coaching strategies. One player that I think deserves an honourable mention is Tyler Layton! Your goal tending was excellent and your determination noted! Again to all the players; an excellent day and some great hockey was played. Great game everyone!! What a great win! It is great to hear that no stars were handed out because each one of you played at 1st star level!! Really looking forward to seeing you play well together again at the next game! !